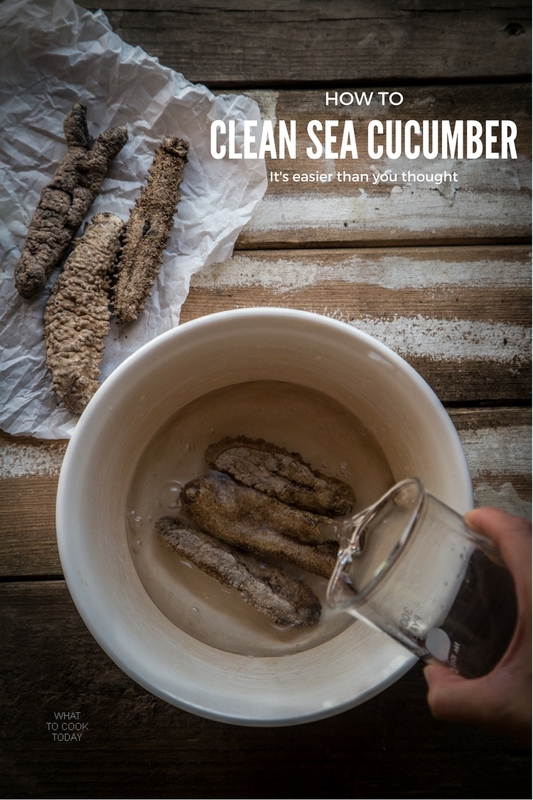 How to rehydrate and clean sea cucumber-Cleaning sea cucumber is not as daunting as you think. A lot of passive waiting, but not labor-intensive. Sea cucumbers are marine animals with a leathery skin and an elongated body. Sea cucumbers are found on the sea floor worldwide, or they call it trench (I learned that from my kids’ Cat’s in the head book). They are usually being sold in a dried form and already pre-soaked form in certain Asian grocery shops that carry gourmet ingredients. 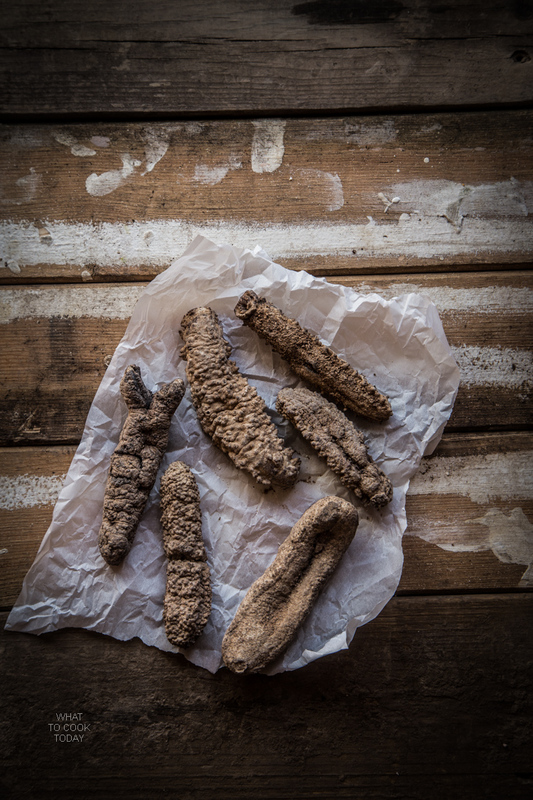 We call sea cucumber HaiSom in Hokkian dialect. Sea cucumber is considered a gourmet ingredient in Asian cuisine. I probably get to eat Sea cucumber once a year during Chinese New Year or if we have any special gathering or family events. They come in different size and quality/grades too. 1 pound (about 500 g) of this “medium grade” (If I can say that) sea cucumber cost around $80.00. And you are thinking “For a rock-looking thing ?” You bet! WHAT DOES SEA CUCUMBER TASTE LIKE? Once it is soaked, it will soften and be bouncy. The sea cucumber itself does not have any taste. That probably makes you feel even more absurd. The best part is, it will absorb whatever flavor or dish you cook them in. CAN I BUY PRE-SOAKED SEA CUCUMBER? The preparation of the sea cucumber itself (if you bought it in a dried form) took me about 1 week. My mom does not recommend buying the pre-soaked form. They are “cheaper” and “bigger”. However, look can be deceiving. They are bigger because they have been pre-treated with certain chemicals to make them bigger. However, when you cook them, they will shrink. So, I would say a No-No for pre-soaked sea cucumber. If you want to eat sea cucumber, sorry, there’s no shortcut, you just have to rehydrate them yourself. Cleaning sea cucumber is actually not as daunting as I used to think. 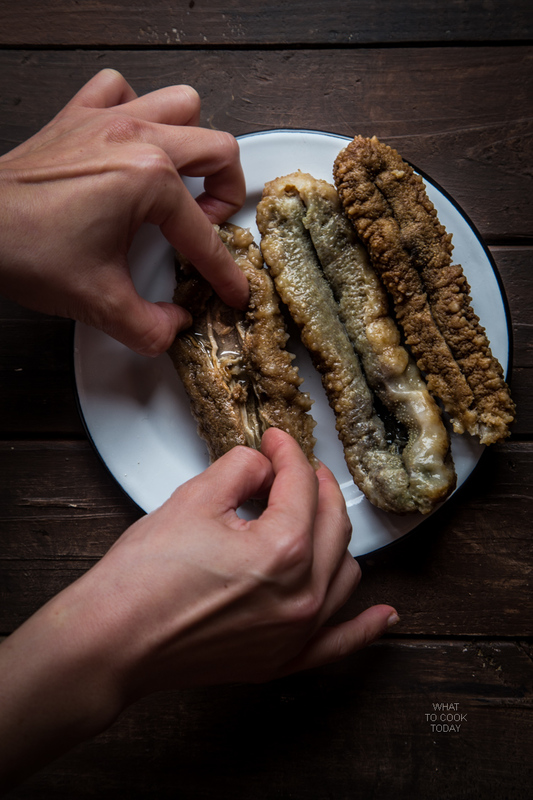 You just need to plan ahead when you are going to make a dish using sea cucumbers because it takes some time to prepare and get the hard rock sea cucumber to soften and plumped up. There are so many different kinds of sea cucumbers. 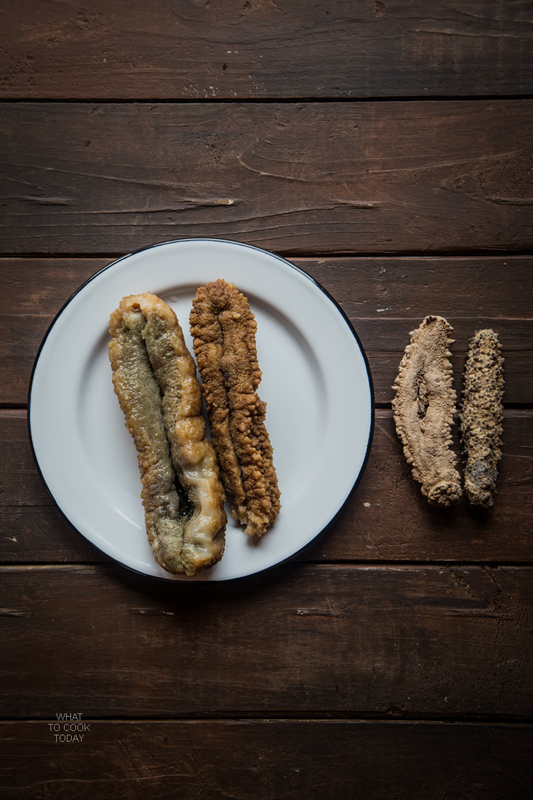 The first time my husband brought home some dried sea cucumber 6 years ago, they were kind of different than the one shown here in the photos. They have more whitish coating on them and inside them, while these have more bumps on the outer skin. 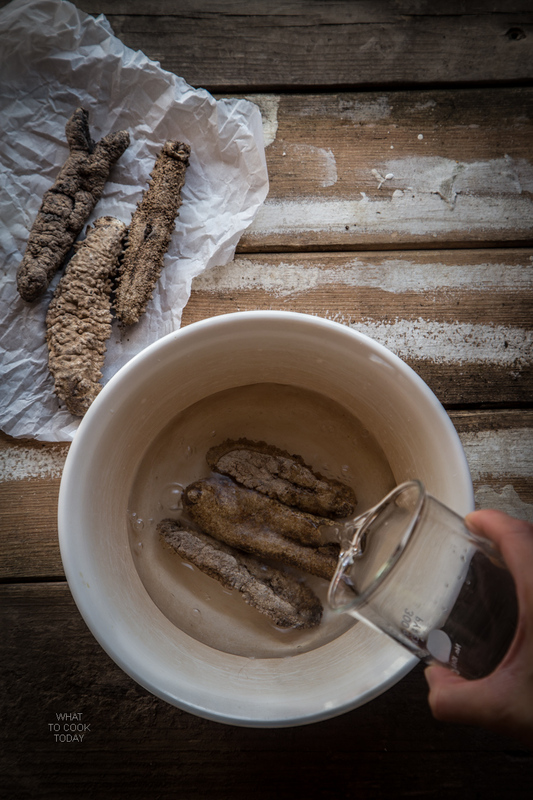 Here was me trying to rehydrate the dried sea cucumber by submerging them in clean water. You need to make sure to change the water every day. I cover them with a cling wrap so no other particles will get in. This was at day 4 of rehydration. The sea cucumbers are soft and plump enough that I’ve ended the soaking period on this day. Some of them may need longer soaking period. You may ask the sellers what they recommend, though not all of them would be able to tell you. The first batch my husband brought home 6 years ago were soaked for 6 days before they were plumped enough to be cleaned. You can see the sizes have doubled/tripled from their original dried forms. And this was after being cleaned. There’s all to that! It’s not hard, but it sure takes time though! How to rehydrate and clean sea cucumber. Cleaning sea cucumber is not as daunting as you think. A lot of passive waiting, but not labor-intensive. Have you ever cleaned sea cucumber on your own? what do you think of it? 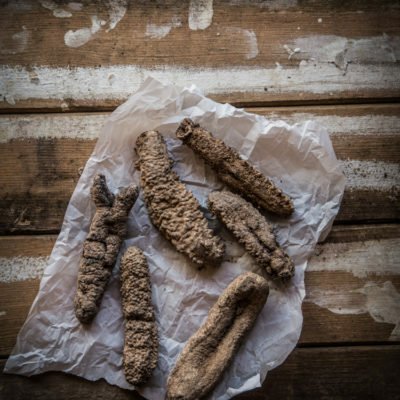 Click here for recipes using Sea Cucumber.